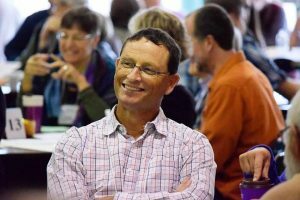 In the last two years, Franconia Conference has welcomed new congregations from California. Three predominantly Indonesian-speaking congregations and one predominantly Cantonese-speaking congregation have affiliated with the conference. I’m privileged to work with these churches and I’m sure the future ahead—for both the conference and these congregations—will look very different because these churches are in our midst. Celebrating Chinese New Year with Jemaat Kristen Indonesia Anugerah (JKIA). To be culturally Californian is to be optimistic in general, and to look toward the Pacific for imagination. Our new California churches are from across the Pacific—young, entrepreneurial, and hard-working immigrants from many Indonesian cultures as well as well-established immigrant families with ties to the always growing, always reinventing city of Hong Kong. As I work with these churches, they bring to mind five Indonesian words that tell a story of holy imagination: seeing God at work in our many and varied neighborhoods across the Los Angeles basin and the San Francisco Bay area. The first of these Indonesian words, Cakrawala (cha-kra-waa-la), points to this imagination. Cakrawala means “horizon.” But more than just a fixed point out there somewhere, Cakrawala also speaks of perspective and outlook. It invites us into a story, not just an intersection of longitude and latitude. The new churches in California invite us to embrace God’s perspective and outlook – God’s Cakrawala – as we do God’s work together as Franconia Conference. The second Indonesian word that comes to mind is, “Sahabat (sa-ha-baat).” In relational cultures, everyone is a friend. But to be a Sahabat is to take on a deeper level of friendship and relationship: a Sahabat is a best friend. Jesus describes his followers this way in John 15:12-17. No longer are disciples of Jesus servants—we now become Jesus’ best friends. Our new churches in California live with the vital exuberance of people who have discovered a new best friend in Jesus Christ. Being best friends with Jesus means that, third, we become “Guyab (gu-ye-aab)” to one another. Jesus’ friendly embrace makes us a people that are “in togetherness”—a people committed to carrying one another’s burdens. Paul’s call to the churches in Galatia (Galatians 6:1-5) embodies the principle of Guyab; a church “in togetherness” is a loving center of God’s mission of burden bearing, forgiving, restoring, and discerning. Jesus’ befriending of us, and our willingness to be in togetherness has the effect of “Peremajaan (pee-re-maa-ja)” —literally, “Making young again.” The promise of Revelation 21:5-7 is the promise of God making all things new (young). The ugly wreckage of sin no longer holds sway. God’s Cakrawala is to restore, renew, and refurbish that which is broken. God does not abandon us, but makes us Peremajaan—young again, full of life. As we follow Jesus, our Sahabat, live out God’s missional call to Guyab, and wait for the great repair work of Peremajaan, we must become a Ragan (rah-gan) church – a diverse community of faithfulness. In the Franconia churches in California, the people speak several Indonesian dialects, Cantonese, Mandarin, Spanish, Dutch, and English. Most Franconia Conference members in California are bilingual, even trilingual. They point the rest of us to the great event described in Revelation 7:9-12. Our Franconia Conference churches in California know that the Church cannot be focused on its mission without being more and more an expert in diversity (Ragan). God’s outlook for the church is not much different in Indonesian than it is in English: to follow Jesus who seeks to befriend us; to embrace one another in togetherness; to let God’s transforming work make us young again; and to be a church full of diversity. May such a Cakrawala be shared and true in Souderton, Philadelphia, Southern California, San Francisco, and beyond. Joshua So, pastor of San Francisco Chinese Mennonite Church, second from left, along with his wife, Anita So, with Steve Kriss, Leadership Minister Jeff Wright, and Jerrell Williams. This past week I got the chance to accompany Steve Kriss, Franconia Mennonite Conference executive minister, and Jeff Wright, Franconia Conference Leadership minister, on a trip to San Francisco to visit San Francisco Chinese Mennonite Church (SFCMC). This is a Cantonese-speaking congregation of around 35 members that is considering joining Franconia Mennonite Conference. After worship, we talked with Pastor Joshua about his expectations of Franconia Conference and how he envisioned the relationship. The theme of encouragement came up repeatedly. Pastor Joshua wanted encouragement and support from Franconia Conference. He wanted to know if Franconia Conference would be in relationship with his church and continue to encourage the members, even though they are far away. 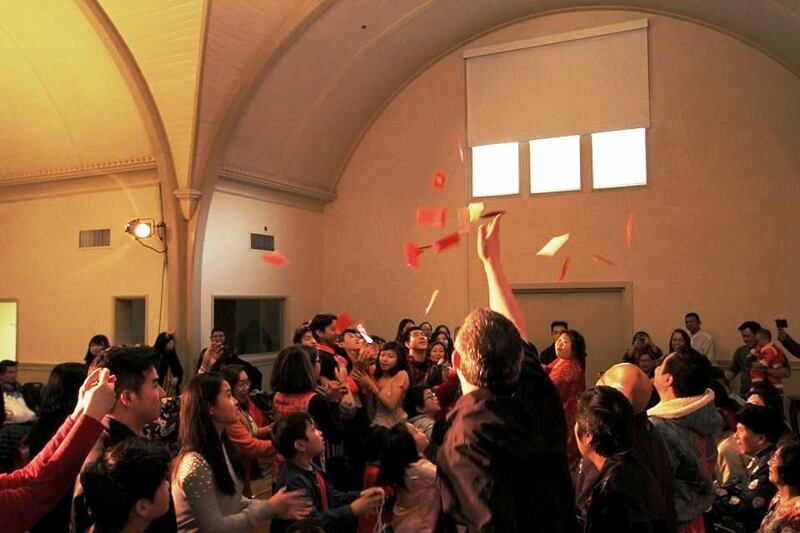 If it joins Franconia Conference, SFCMC would be the only Cantonese-speaking congregation in the conference. We attended worship with the congregation and spent a day with Pastor Joshua and Anita, his wife, in the Bay area. The congregation was lively and hospitable; everyone greeted us when we came. We met several members of the congregation during lunch and heard their stories and experiences in the United States. This experience showed me the importance of encouragement for churches. SFCMC has felt alone for a long time. Its biggest request from us on this trip was that we check in with them and encourage them. Whether we’re there physically or we send them a text on a Sunday morning, they want to know we are praying for them and thinking of them. 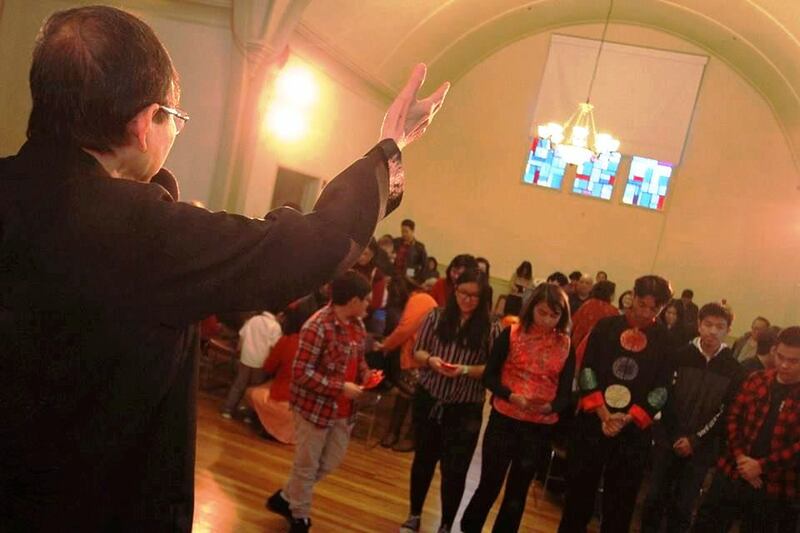 Worship at San Francisco Chinese Mennonite Church. Hearing of the needs of this congregation made me think of Paul and how he wrote letters to different churches. These letters sometimes were ones of correction for when the church lost its way, but many of them included words of encouragement to congregations. Paul saw it as important to send encouragement to the church whenever he got the chance. All churches at times need support and encouragement from other churches. Franconia Conference can play a huge role in encouraging and connecting its congregations. Being a conference isn’t only about keeping churches in order or in line. Most of the work is being willing to be present with them. Churches need to know they are being prayed for, thought of and loved. Sometimes a reminder is all we need. For generations, one of the primary tasks of Franconia Conference was to provide leadership accompaniment with congregations and credentialed leaders. The call to serve as a bishop was a serious call to lead, serve and offer wisdom and counsel. It was a weighty role. I grew up with a bishop in my home community in Allegheny Conference and for some of us in Franconia, we remember those days, too. Our bishop still wore a plain coat on Sundays and he preached long sermons. I still remember being surprised to see him visiting his sister one day while working on the garden to pick green beans and he was wearing a flannel shirt, conversing (not preaching) and laughing. For almost a decade now, our conference has framed this work as leadership ministers. We have attempted to find footing alongside congregations to invite, provoke and accompany during rapid cultural changes. Our conference is now served by a team of ten leadership ministers: men and women from different generations, with different cultural backgrounds and different language capacities to continue to cultivate God’s dream among our 45 congregations. It’s a key task and incarnation of what we do together. 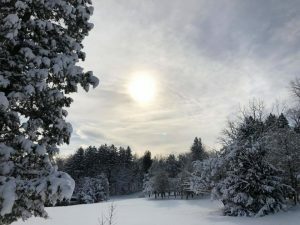 Our leadership ministers met the end of March, during what we hope will be the last heavy snowstorm, at Mariawald Retreat Center near Reading to review and reimagine our work together. Some of us weren’t able to get there due to the snow, so we used Zoom to connect with these colleagues. Some colleagues left early and some stayed later to wait out the storm. In the meantime, we enjoyed the lovely and hospitable space of Mariawald, hosted by Catholic nuns from Africa who are now in Berks County as part of their vocation of serving God and the church. The snow was stunningly beautiful even though we may have been ready to move onto spring. It was in some ways metaphoric of the difficulty and possibility of doing our work in this time and space. Together we began the task of refining our work. We will continue to work around the Conference’s approach to ministry and leadership which is formational, missional and intercultural. We will continue to align our ministry staff around those ongoing priorities. We are beginning to work together to understand how to include congregations at our farthest distances now with a staff representative based in California to serve our congregations there. And we’re evaluating best practices to serve congregations that are close by to us too, sometimes just blocks from where we live or less than a mile from the Conference office at Dock Mennonite Academy. Franconia staff: (front) Aldo Siahaan, (L to R) Mary Nitzsche, Wayne Nitzsche, Noel Santiago, John Stoltzfus, Jeff Wright, Mike Clemmer, Randy Heacock and Steve Kriss. I am grateful now for a full staff team after over a year of navigating through changes. We are beginning to learn together, to laugh, to build deeper trust. We are leaning in toward our individual gifts and callings recognizing our invitation to serve God in the way of Christ’s peace through our historic and growing community. As a Conference, we are privileged to be resourced well through ongoing generosity and wise stewardship. I continue to be grateful for the sense of care and mutuality that we have together and the divine invitation to continued transformation by the power of the Spirit in this journey of faith, hope and love together. At our board retreat last week, our California-based consultant, Jeff Wright, suggested that we are living in a time when we often say, “that hasn’t happened before.” For a 300 year old Conference community to contend with rapid changes requires flexibility and nimbleness that isn’t always characteristic of mature organizational systems. However, we are more than an organization; we are the people of God. This is both a challenge and a hope in times where change is rapid, confusing and often disorienting. 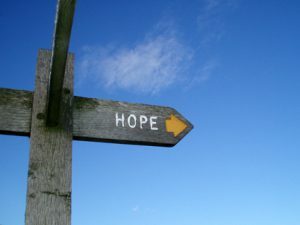 Here are five signs of change we haven’t seen before that give me hope and assure me that even though we don’t know a way, there is a way that the Spirit is working out for our ancient faith to thrive into the future. The summer ministry internship program that was envisioned by Souderton Mennonite Church pastor Tim Bentch and is staffed by Sarah Freeman from the Souderton congregation is giving opportunities for young adults from our Conference and Eastern District Conference to serve alongside their congregations and in nearby communities to extend the peace of Christ. This year’s group of women and one young man remind me that God is still calling and that opportunities to connect to each other are always around us no matter our neighborhood. In the last weeks, Bethany Church in Queens, New York officially requested membership with our Conference. We are in the midst of a teaching series on Global Anabaptism with the congregation and I had the privilege of preaching there last month on the centrality of Jesus. The congregation’s pastor is a full-time Eastern Mennonite Seminary student, Hendy Matahelemual, who brings energy, passion and deep care. If affirmed as a new member this fall, it will be our Conference’s first worshipping community in New York City. At our Conference Board Retreat, this past weekend, we spent time praying through the lists of our member churches, our Conference Related Ministries (CRMs) and our nearly 100 active credentialed leaders. Reading these lists reminds me of the gifted leaders, our diverse congregations, and the vibrant ministries that receive support and encouragement mutually through our life together. It was a bit of an old school practice brought to new life with the diversity of who we are becoming, visible on paper. 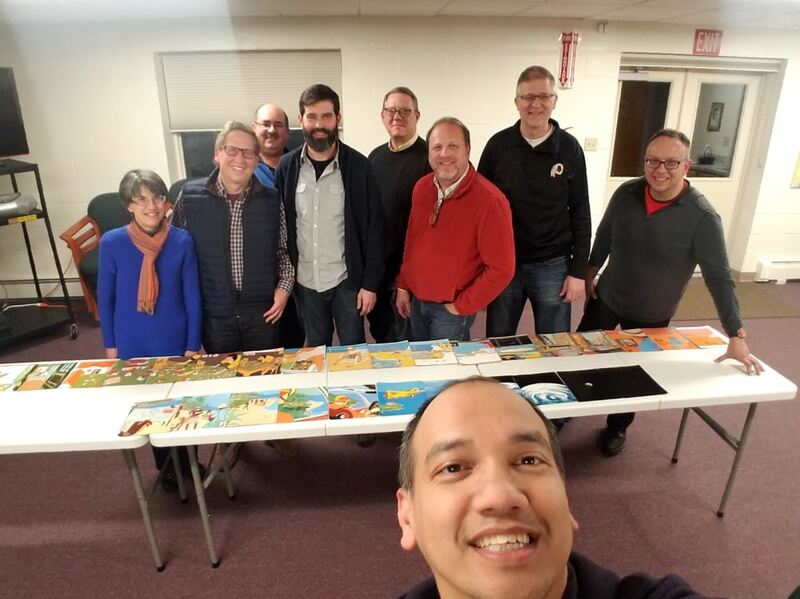 Franconia congregation pastor Josh Meyer’s recent doctoral research took a glimpse at the callings of millennial pastors in our Conference community. At this time across Mennonite Church USA, we have one of the highest percentages of younger pastors. At the end of our morning time together, Josh invited us to pray with the millennial pastors who had gathered that morning at Perkiomenville Mennonite’s Christian Life Center. The tenderness and care of our experienced pastors as they gathered around the five young pastors who were there was moving and beautiful. Next week a delegation from our Conference is spending time listening to the congregations in California who have sought to become new members of our Conference. We are seeking to spend some time together, to understand past wounds and to imagine new possibilities. As we go, we will eat, listen, preach and continue to build on the relationships already established. What might the Spirit be calling us toward as we consider these bi-coastal relationships? There is growth and challenge across our Conference community these days. A new thing is becoming; on a daily basis, I am increasingly aware of it. At the same time, God’s intention is to continue the transformative work that Christ has done in each of us through these things that haven’t happened before. There is new possibility, each day, for us to encounter the Risen Christ through the things that haven’t happened before in our world. And there is assurance that there are things that will remain; faith, hope, love. You are invited to God@Work…shops! Where is the life of your congregation intersecting with the life of our broader conference fellowship? In what ways are you seeking to grow into the life of the emerging kingdom of God among us? In the new one day schedule for our upcoming Conference Assembly, we each have the wonderful privilege of participating in a workshop addressing a relevant issue and shared mission in our life together as the body of Christ. Everyone, delegates and non-delegates, is invited to consider attending one of these workshops as a way of helping us catch a greater glimpse and vision of what God is doing among us. We invite you to spread the word in your congregation and invite others to attend both the workshops and the evening worship service. We hope one of the four offered workshops will be relevant to the needs of your congregational life. We also desire that they give opportunity to build deeper connections with other congregations who are working on the same issues. The workshops will be offered from 10:00-11:30am on the morning of Conference Assembly. Be sure to register by October 31. We will hold these workshops based on sufficient registration. This workshop will focus on how, by including persons who are marginalized, the whole congregation benefits. Stories of how congregations are responding to people with disabilities including those with autism and intellectual disabilities and veterans with disabilities will be featured. Materials will be provided to enable congregations to focus on belonging for all people. Joe Landis is the founder and Executive Director of Peaceful Living, established in 2000, a not-for-profit agency located in southeastern PA. Peaceful Living serves 80 families in community-based services and offers a congregational coaching program. Joe has been an avid advocate for individuals with intellectual disabilities for 40 years. Joe is a member at Salford Mennonite Church. 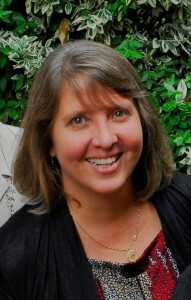 The coordinator of the Friendship Connection, Loretta Moyer, has been with the program since its start in 2007. Loretta is a member of Rockhill Mennonite Church. Patricia A. Hedrick (B.S. Special Education, M. Ed. ), Zion congregation, recently received National Board Teacher Certification as an Exceptional Needs Specialist. She is currently on sabbatical from her position as a life skills support teacher in the Souderton Area School District. 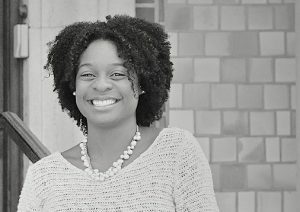 While on sabbatical, she will be studying toward a certificate in Special Education Supervision and working as a volunteer for Peaceful Living. This workshop will focus on five areas of missions and new church development: establishing a prayer-filled missional vision; sustaining and sustainable models of ministry; succession planning; communication; and project-based vs. committee-based funding. Samuel Claudio Jr. is currently the co-pastor of Christ Fellowship Church, Allentown, Pa., an inner-city Anabaptist body of believers seeking to manifest Christ in their community. He has worked as a church planter over the past five years in both the Eastern District Conference and previous ministry areas. 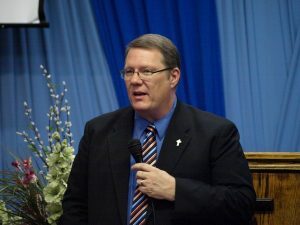 With over thirty years of urban ministry experience, Jeff Wright serves as New Church Development Coach and Consultant for the Eastern District Conference of Mennonite Church USA through an arrangement with Urban Expression North America. Since it was launched in 2009, Urban Expression North America has worked with over thirty urban church planting projects in cities located in the United States, Canada, and Mexico. Jeff currently resides in Riverside, California. This seminar will focus on the biblical vision for God’s people. It will include practical suggestions on how the church can begin “worshipping its way into God’s future” (Rev. 7) by reflecting on current congregational worship patterns and by developing a keener sense of the global faith family through worship that is transcultural, contextual, counter-cultural, and multi-cultural. Time will be given for group sharing of congregational worship experiences. Presenter: James R. Krabill served for 14 years as a Bible and church history teacher in West Africa. He is author/editor of various articles and books, including his most recent, Worship and Mission for the Global Church (2012). He currently serves as Senior Executive for Global Ministries at Mennonite Mission Network. What does faith formation of children and youth with a goal of genuine Believers Baptism look like? Does faith formation look the same as it did 10 or 20 years ago? This workshop will highlight several contemporary children and youth ministry models and integrate them into conversations and observations of youth and children within our churches. This material originates from Angela’s Seminary Capstone Project and she is anticipating not only sharing pieces of her work but also hearing from other voices within the Conference community in regards to this topic. All are welcome to attend including Sunday School class teachers, youth sponsors, pastors, and anyone relating to youth and children. Presenter: Angela Moyer works on the pastoral team at Ripple-Allentown and as a pediatric occupational therapist (OT) at Good Shepherd Rehab in Allentown, Pa. She recently moved from Telford to the Zume House (intentional community) in Allentown after graduating from Eastern Mennonite Seminary-PA campus this summer.